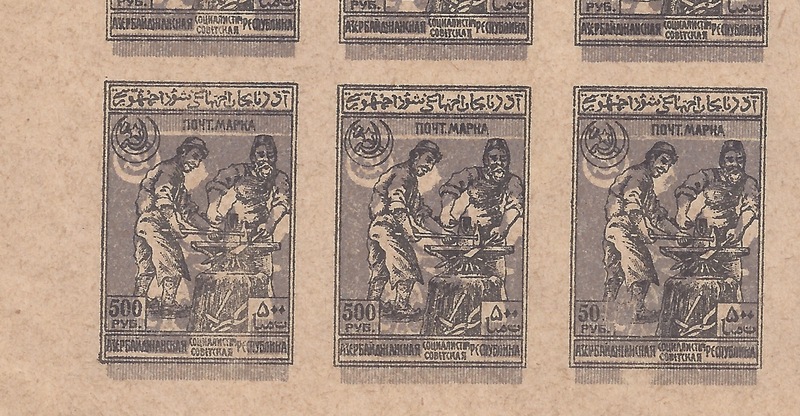 For those who like Plate Flaws, there is a nice one at Position 291 in the 304 - stamp sheet of 500 rouble Blacksmiths. 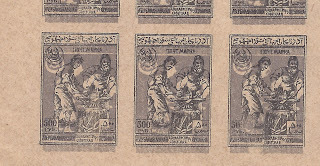 This results in the "500" in the bottom left value tablet looking like "50". 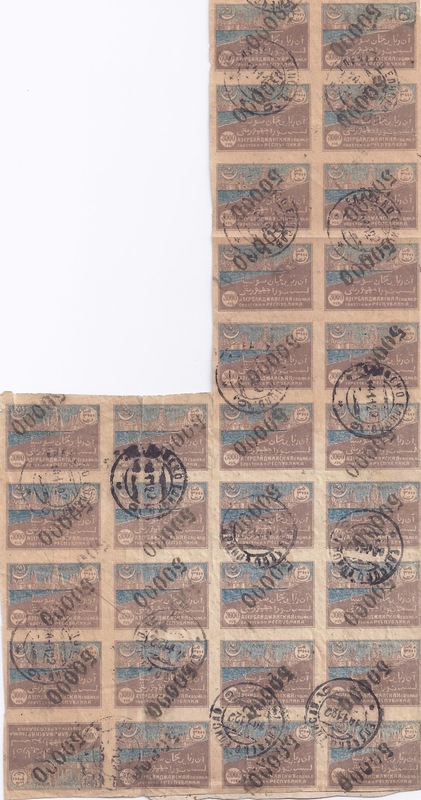 Since it occurs only once in the 304 stamp sheet, chances of finding it by chance are - well, 1 in 304. The example above on the right is combined with a significant downwards shift of the background colour print. As a result, you can see (and I am seeing for the first time) that somehow the background also got affected at the same point. How to explain this I don't know.